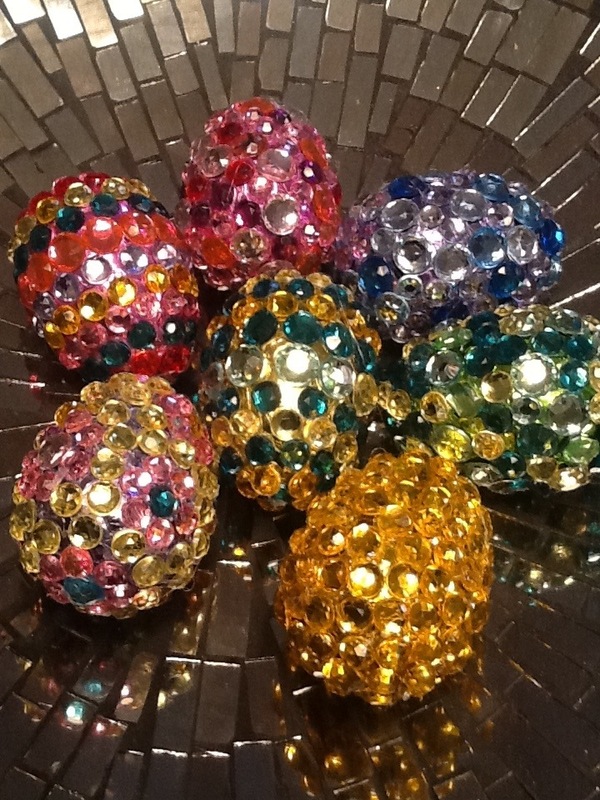 Eggs with Bling! | ARTZCOOL'S BLOG! How many posts have I used the word, “bling” in? I should look it up…anyways, it is a great word, and there are so many things you can add a little bling to! 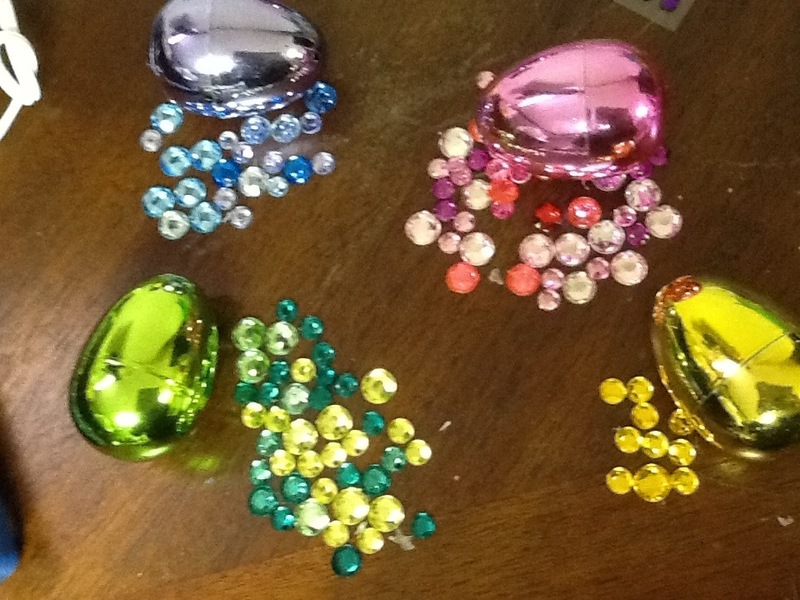 Every season or holiday, I find a new project to use my rhinestones for! 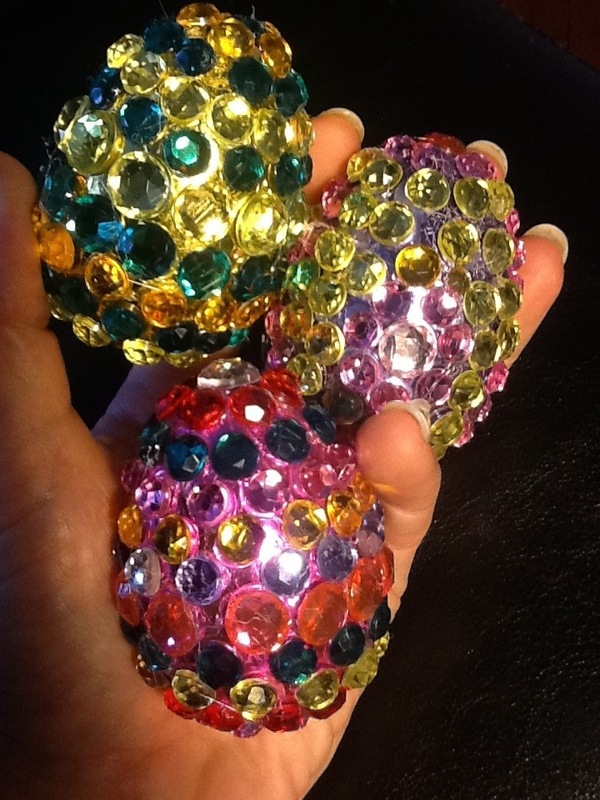 So, for Easter I thought, why not add some sparkle to some eggs? I know this is last minute for Easter, but this really is an easy craft. You need some of those plastic eggs. 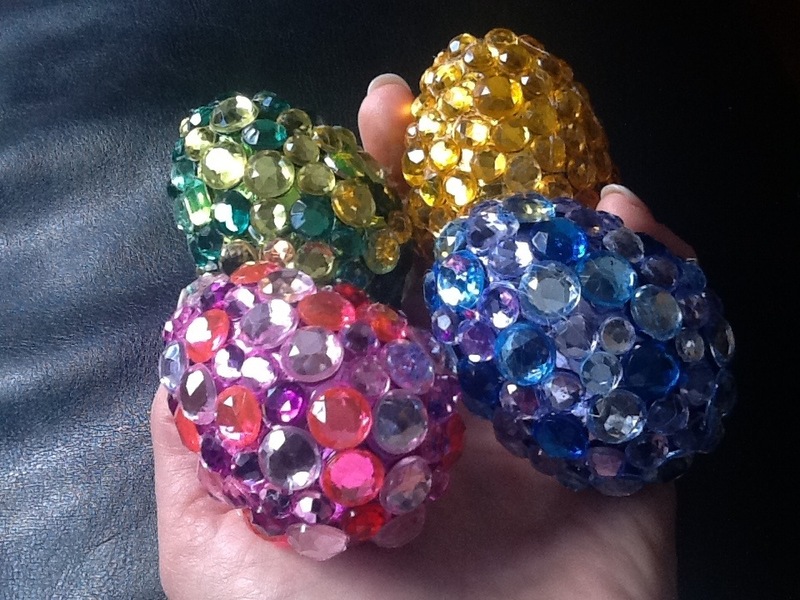 I had these cool metallic eggs. 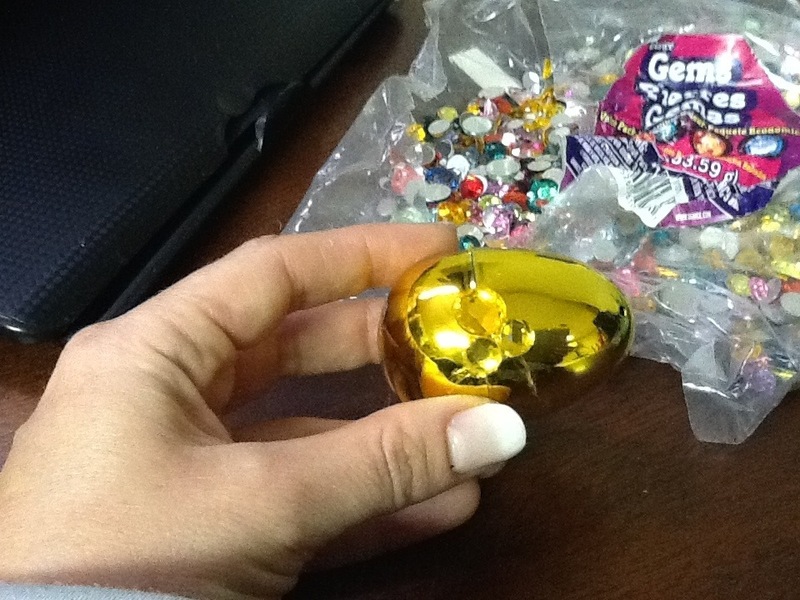 You also need some rhinestones, and a hot glue gun. 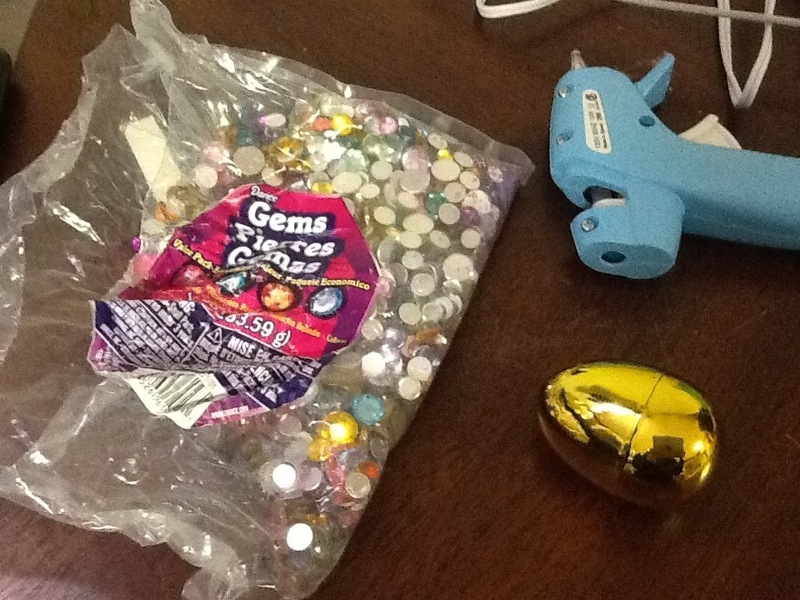 When my glue gun heated up, I started by gluing a few rhinestones around the seam to glue it shut. Then, fill up the rest of the space with more! Keep gluing until you have covered the whole egg. 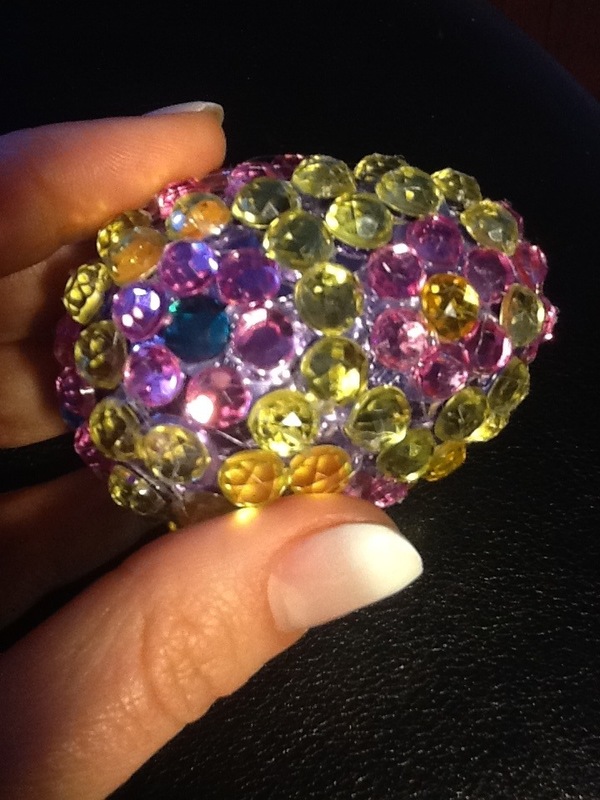 I made my first one all out of the same shape and colour of rhinestones. 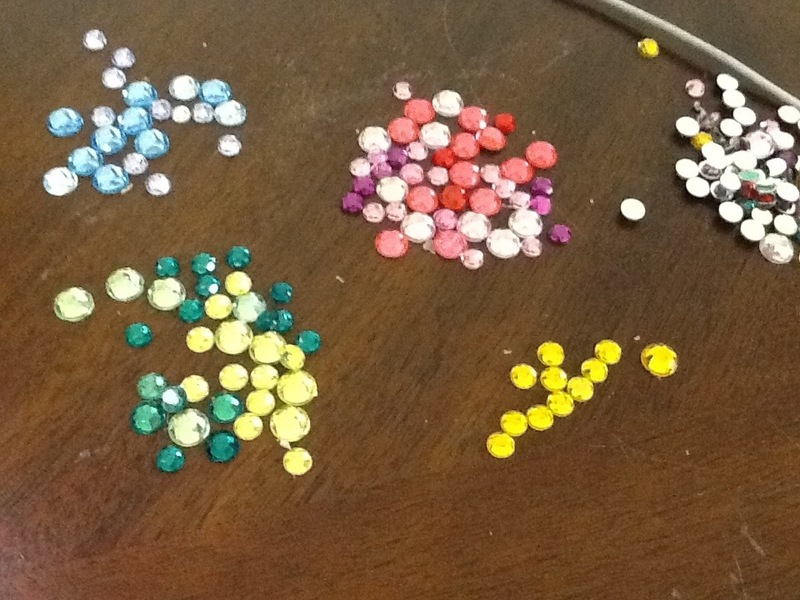 As I was digging through my pile I started sorting the rhinestones into piles of matching colours. This looks like a great idea. In the recipe you have “1 tsp cup sugar”. Ummm, which is it? a teaspoon or a cup of sugar – I’m guessing a teaspoon, but want to make sure. 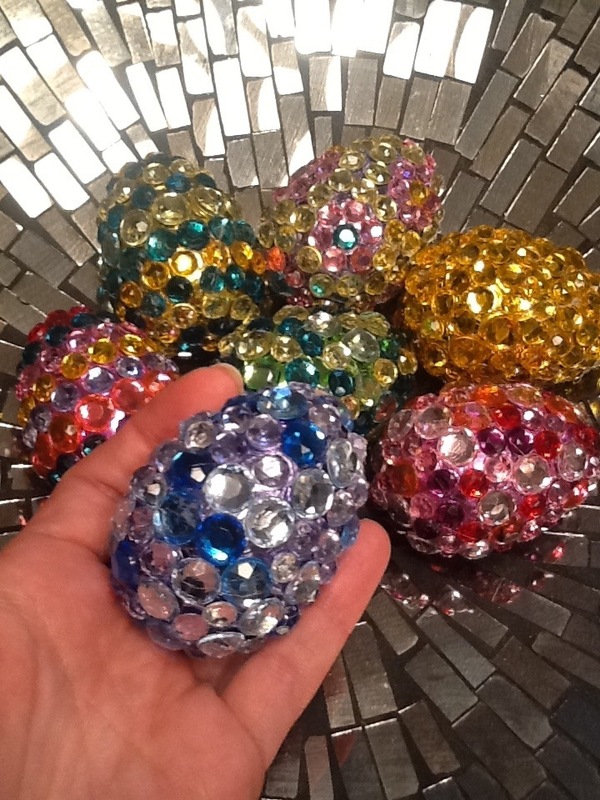 Enjoying your blog – found it because of the construction paper rocks (which I remember from my childhood). It is a teaspoon, thanks, I am going to edit that right now! 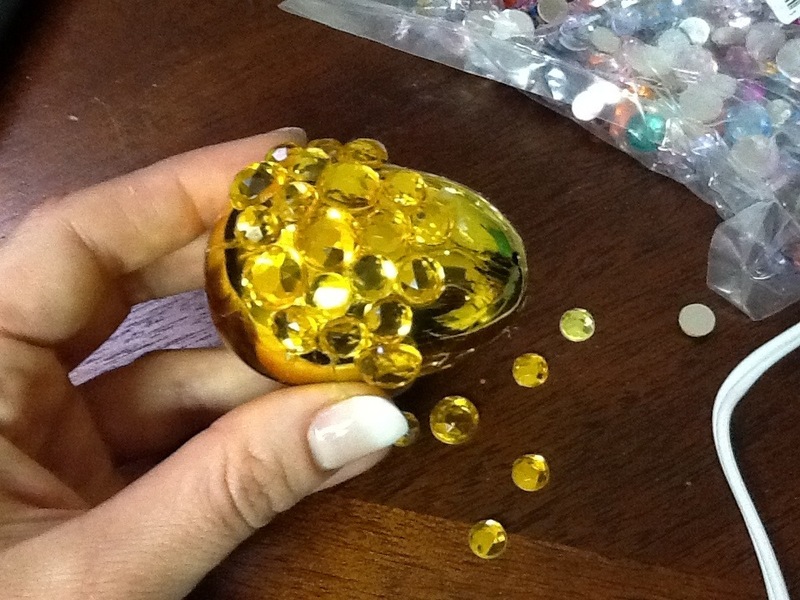 I wish I had tried making the stones as a kid, I think it is the coolest project! I meant to your reply earlier, but got busy and forgot! Thanks so much for your positive comments! We have had so much fun writing this blog…anything we do, the kids say, “Why don’t you blog it mom?” It has been fun looking back and seeing some of the things we have done in the last year…I wish I had more time! Wow, you must be so proud of your kids. I can really understand how fast time passes with kids…next time I blink my kids will be that age too! I can’t believe my son is turning 10 this year…10! Anyways, take care, thanks for the comments, I really appreciate them!